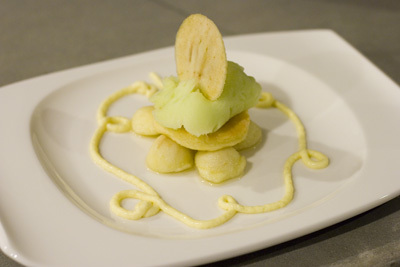 This dessert is adapted from Thomas Keller’s Pomme Genoise in his book Under Pressure. I’ve simplified some of the components and scaled back the quantities from 20 to around 4. This recipe is extremely impressive when assembled correctly, but it does take some serious planning and a big time commitment. I’ve tried listing the sections in the order I prepared them in, but read through the entire recipe thoroughly before embarking on this culinary journey. Oh and unless you have five pounds of sugar…you’re likely to run out. 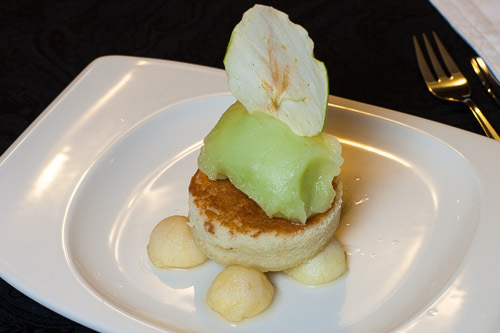 For more inspiration – check out the New Year’s Eve 2012 dinner this dish made an appearance in. 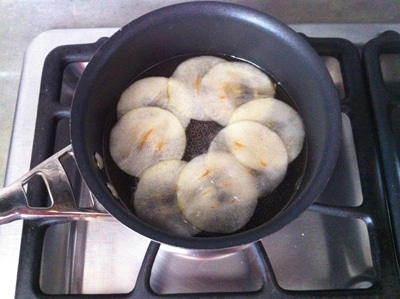 Add the chips to the sugar syrup and cook on the lowest heat possible at just at or below simmer for 1 1/2 – 2 hours. 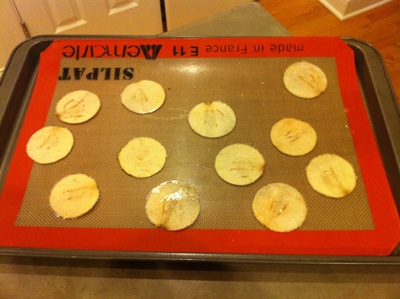 The chips can be made ahead of time and stored in an airtight container for a few days. Peel and core the apple and cut into 8 wedges, toss with 20g of sugar and a pinch of citric acid and vacuum seal. Preheat a convection oven to 325°F (conventional 350°F). 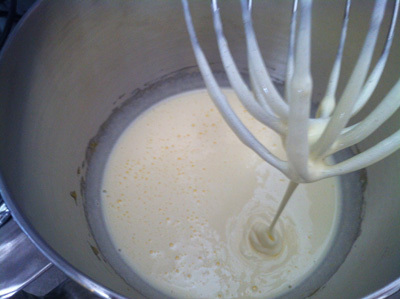 Combine the eggs and remaining 280g sugar in a stand mixer fitted with the whisk attachment. Whisk on high for about 10 minutes or until the ribbon stage. 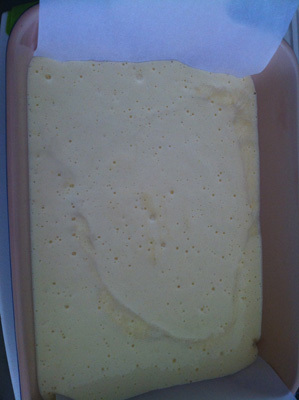 Fold in the cake flour and apple puree. Pour into the prepared pan. 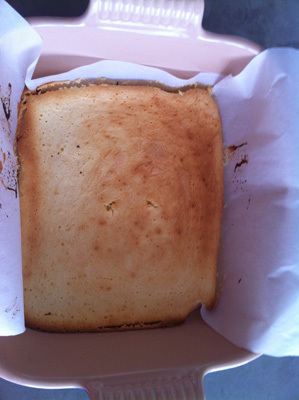 Bake for 22 – 25 minutes or until the top is golden and an inserted toothpick comes out clean. Let the pan cool to room temperature and then cover and place the entire thing in the freezer until frozen (about 3 hours). 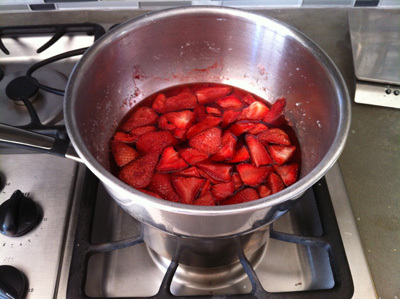 Combine the wine, water, and sugar in a saucepan and bring to a boil, stirring to dissolve all the sugar. Let cool completely. Peel the apples and scoop out balls using a melon baller. 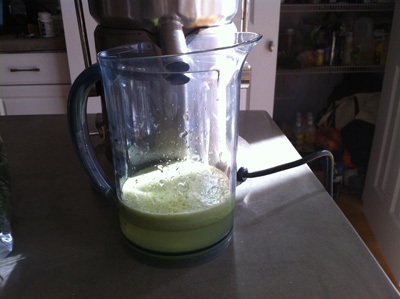 You will need 5-6 balls per serving for a total of 20 – 24. 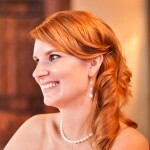 Place the balls and liquid in a bag and vacuum seal with a Chamber Vacuum Sealer. Alternatively place them in a ziploc bag and using the displacement method remove all air and seal. 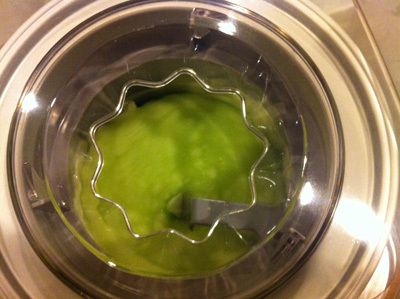 Pour the custard into a bowl and add the gelatin, stirring to dissolve. Set over an ice bath and cool completely.